Welcome to Ocean Harbor- this two-bedroom, two-bath top floor condo has everything you need for a spectacular family vacation. 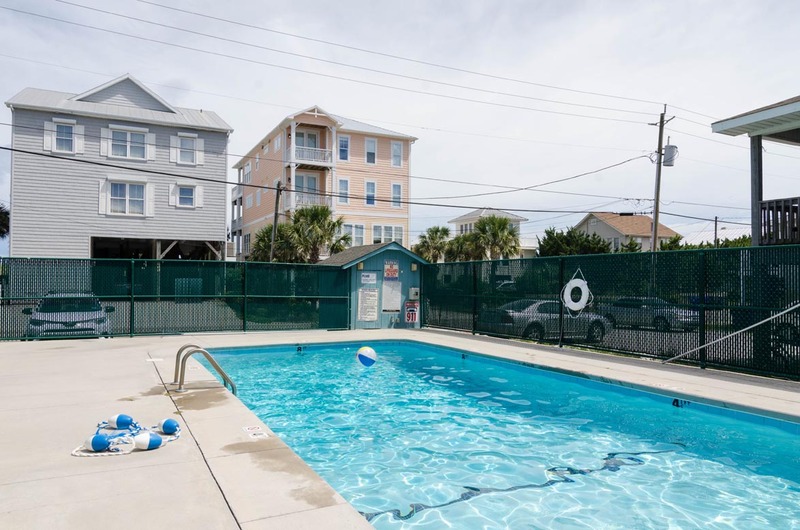 In this what we call “The Blue Jay Unit", you’ll find all tile floors to keep things cool, spacious bedrooms, a well-equipped kitchen with a Keurig and regular coffee maker, a living room that leads out to the cozy deck with views of the ocean. So, take your morning coffee out on the deck and enjoy the sounds of the island. In the master bedroom, you’ll find a queen bed facing the window that looks on to the canal, a 32-inch flat screen television, and a private bathroom. The guest bedroom has a pyramid bunk bed and plenty of room for activities and a view of the Canal! Whether you order-in or cook your meals in the fully-equipped kitchen, there’s plenty of room at the dining table for the whole family. Stay up-to-date on your favorite news programs or television shows on the 47-inch, flat screen TV while you relax on the comfy couch. This condo is the perfect mixture of comfort and modern, and is economically priced- we guarantee you’ll want to return year after year. 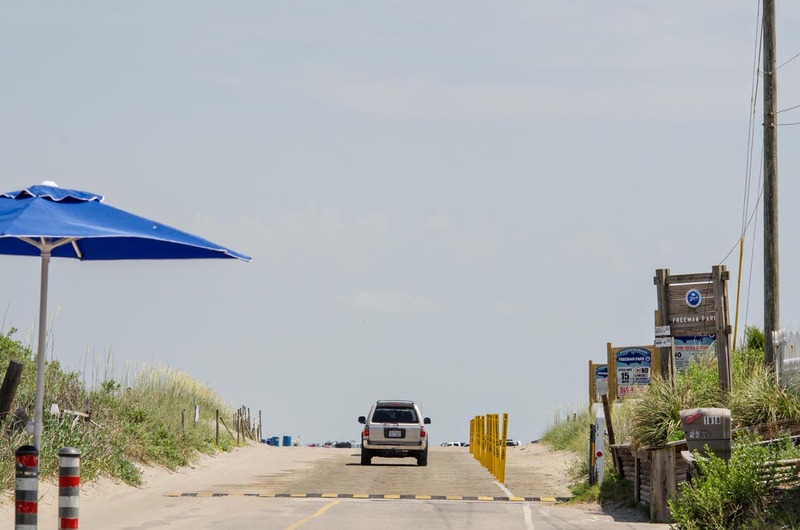 It is only a short walk to the Carolina Beach Fishing Pier Norther Extension a few steps to the beach, and to the Freeman Park one the few places left to drive out onto the beach. There is one covered designated parking pass and one visitors space if available but only one guaranteed parking space. While you are at Carolina Beach during the summer make sure to visit the Boardwalk, it has fun for all ages and no one should go home without trying Britt's Donuts. 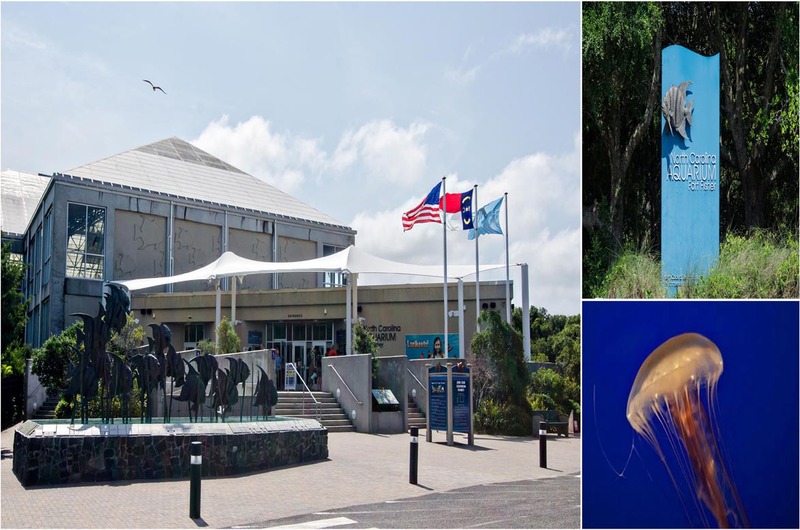 The NC Aquarium is opened all year and Downtown Wilmington is always exciting to visit. Make your plans today and see all that Carolina Beach has to offer. This unit is non smoking and NO pets are allowed. Overall everything was great. Would rent again. Hi Louis, thank you for your feedback! We were glad to have you and would love to have you back anytime. Thanks again for the review- we hope to see you back at the beach again soon! Pros: very clean, 2 bathrooms, nice sized bed rooms (2nd room could comfortably fit 4 children depending on age), well stocked kitchen, nice big table for dinners or games, less than 2 minute walk to beach access, well maintained and locked pool area. Cons: parking (we were told upon check in that trucks or cars may not be able to use the assigned parking space, there is a lot with 5 spots, but 3 are for compact cars only), response to issues was poor (We called Monday because that internet was out, and someone came out on Thursday, upon check out we were told there were issues with the keypad door lock, so keys were sent as well, we checked when we got there and the keys did not work, we called and were told they would get back to us, they did not, but luckily we were able to use the key pad). It is a third floor walk up. Hi Michelle- thank you for your feedback! We are so glad to hear that you enjoyed this great unit. We are sorry about the confusion with the locks and that the keys did not work! That could have been inopportune, so I am glad the keyless entry worked for you. I'm also sorry to hear about the Internet troubles! It is unfortunate that it took us so long to get out to you; with a fully booked inventory of homes on three different beaches, you can imagine the laundry list of things our maintenance staff has to keep up with. Still, I hope you weren't too inconvenienced by this and that you were still able to enjoy the beach and all the great attractions this area has to offer. Thanks again, and we hope you have a wonderful summer! The condo was very clean and beds/bathrooms were great. The furniture was comfortable. No street/traffic noise. Pool was terrific. Overall good place to stay. Seniors and parents with toddlers or small children would have some issues with the 48 steps to get to the top floor especially if they are carrying kids plus beach or pool toys/chairs. In addition, noises from adjoining units is an issue. Hi Judy- thank you for your feedback! This is a great unit, but it does have a lot of stairs. We hope you had a wonderful stay and that you have a great summer! This place was awesome.the stairs going to the third floor seemed never ending so next to.e we'll be booming the bottom but the inside was clean and had everything that was needed and more. It was right across the street from the beach. We will definitely be booking this place again!! Hi Melody- thank you for your feedback! We are so glad you enjoyed this unit. It is a great place that is truly cared for. We hope to see you back at the beach again soon! Lots of stairs, absolutely no view of beach. Facility was comfortable and roomy. Is not a bad walk to beach, but do not bring a large vehicle, as a compact is difficult to park in your designated spot. Ad said “fishing gear and beach gear in closet.” NOT THE CASE. View of beach and ocean shown in ad was from about a quarter mile away. Hi Steve- thank you for your feedback. We are glad to hear that you enjoyed the unit! The parking spot under the building can accommodate a mid-sized vehicle or SUV, but for larger trucks, guests may find they need to use the second parking spot. A parking pass for that space is given at check-in. As far as the ad for fishing and beach gear, we are a little confused. This property has never advertised as having those amenities, but we are sorry for the disappointment. You are correct about the photos, though. The pictures of the beach are not taken from the unit, but they are not meant to be viewed that way. 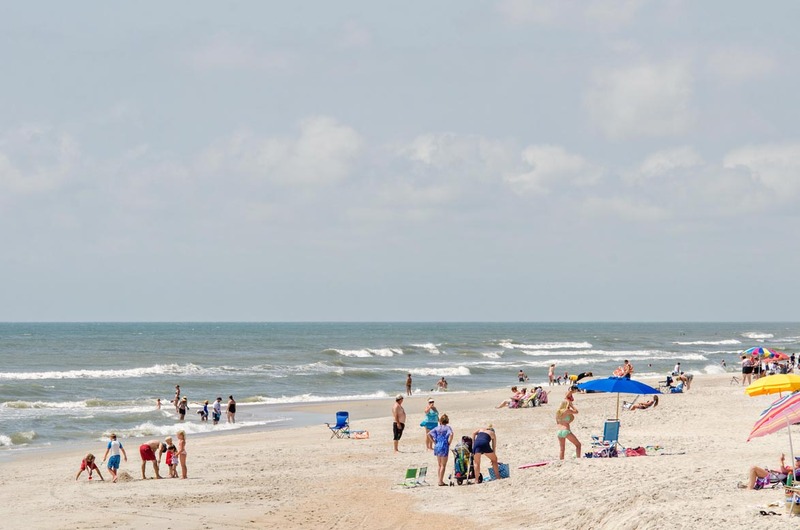 They are simply photos of the surrounding area- what you can expect to find at Carolina Beach. As a matter of fact, the pictures taken from the unit that are posted on our website and all third-party platform sites we use show the view from the deck, and the ocean can be seen a few blocks away in the background. Again, we are glad you enjoyed your stay, but sorry that you felt misled. I hope we were able to clear up some of the confusion. Thanks again- we hope you have a wonderful summer! Ok. 3 flights of stairs... says it in description. We loved it as we don't mind stairs and getting exercise. That being said be sure not to book this for elderly or handicap. The parking is bad for this place if you have something other then a Sudan. My short bed Ridgeline truck could not make the turn in. Other then those two things we loved it. Placr has everything you need, clean and short walk to beach. Kids and Adults loved it. 5 stars. Hi Brigid, thank you for your feedback! We are so glad you enjoyed the unit. It is a great place! And you are right about the parking- the covered space under the building does have some limitations for longer vehicles (like pickup trucks). In those cases, it may be necessary to use the uncovered spaces and the parking pass provided at check-in. Again, we are happy that you had a great time- we hope to see you back at the beach again soon! This rental was very clean and well stocked with what you would need to cook in the kitchen. Our family of six had a wonderful stay here. Our four children fit easily on the bunk beds which was a huge plus for us. Everyone got a bed! It was very close to the beach which is another great win for us. It is on the forth floor....which was fine for us (we knew we at least got some exercise) but is worth noting. Check in and check out was very simple. We would stay here again! Arthur we appreciate you taking the time to review this property. We hope to see you next year. First night was not good . We had no water to show when we arrived. We were suppose to meet another party in Wilmington early the next morning but had to cancel waiting to shower. The room was amazing, great area,. After the first initial day, our stay was great. Thank you for your review Trina. We do apologize that you checked into the unit and it did not have any water. We tried to accommodate your needs by opening up another unit for you to shower in until this issue was fixed. The owner felt horrible that this was your first night experience and refunded you back that day for the inconvenience. This is a very nice unit and we hope that you will consider using Bryant Real Estate for your future vacation stays. Condo was very clean and nice. Would stay here again. Hi Amanda- thank you for your feedback! We are so glad you enjoyed your stay! We would love to have you back at this wonderful unit. Hope to see you back at the beach again soon!